Back in June 2011, Gabriela, Demian and I voyaged across the Atlantic to Dublin, Ireland with about 30 other students and faculty from The Honors College at the University of Houston. 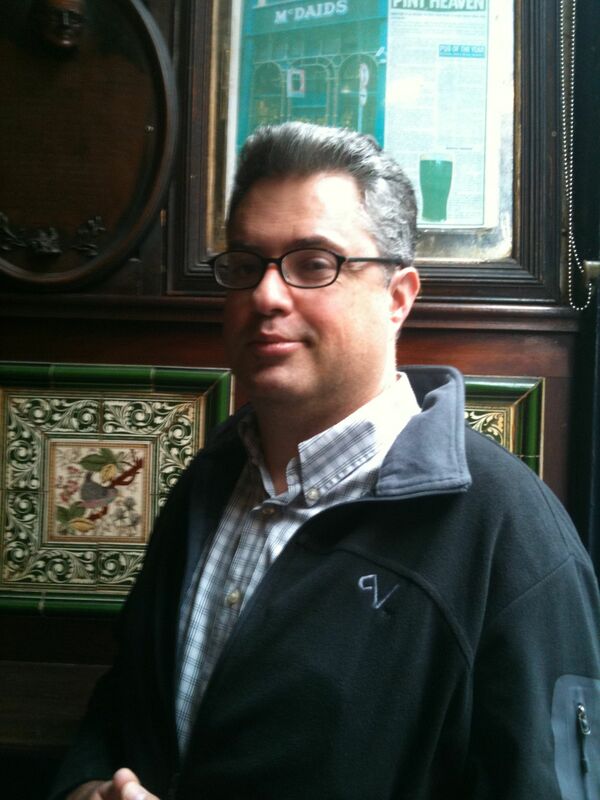 All organized by this fine man, Robert Cremins–wonderful Irishman, novelist and pint-sharing companion. We roomed at Trinity College and explored this amazing city famous in so many ways (founded by the Vikings), including the day in 1904 when Leopold Bloom and Stephen Daedalus roamed throughout the night roads of Ulysses. Also, June 16, 1904 commemorates Joyce’s first date with Nora Barnacle, who would later become his wife. 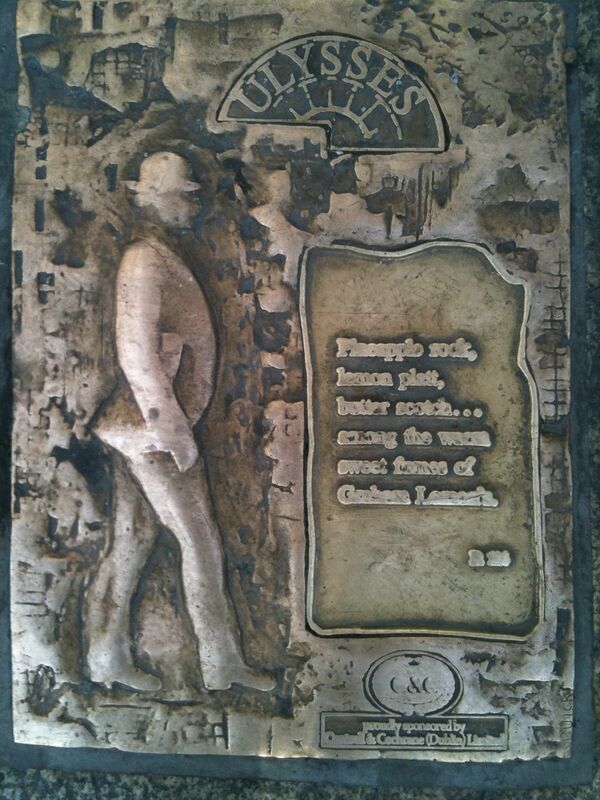 There are plaques on sidewalks and walls marking the movements of characters in his novel. 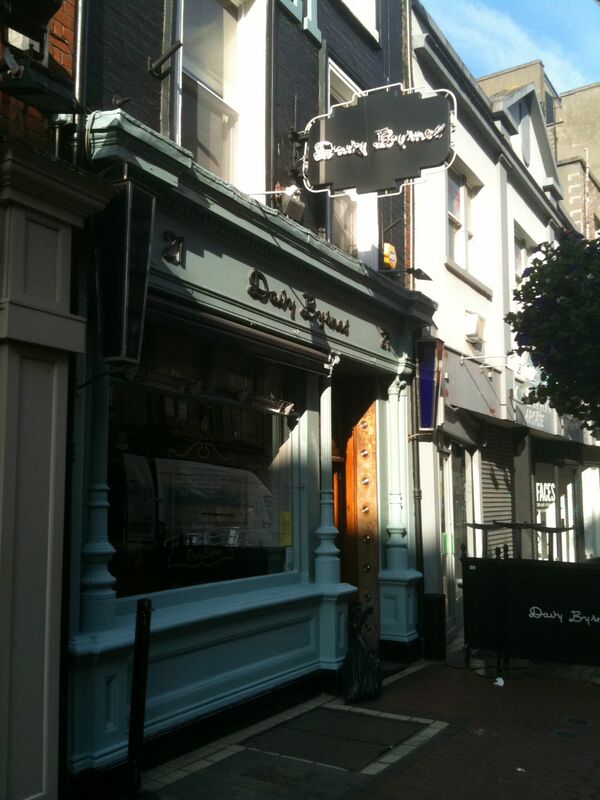 Many Dublin institutions receive mention in Ulysses, such as Davy Byrne’s, 21 Duke Street, where Leopold Bloom enters around one pm on June 16, 1904. He entered Davy Byrne’s. Moral pub. He doesn’t chat. Stands a drink now and then. But in leap year once in four. Cashed a cheque for me once. We also entered, more than one hundred years later. 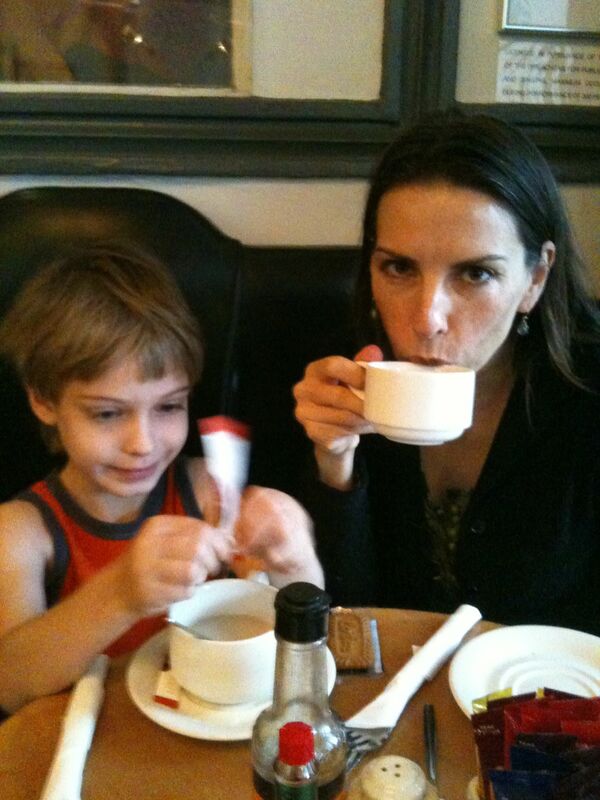 Gabriela and Demian dined on black bread and tea, with Demian’s particular gleefulness as he poured copious amounts of sugar. 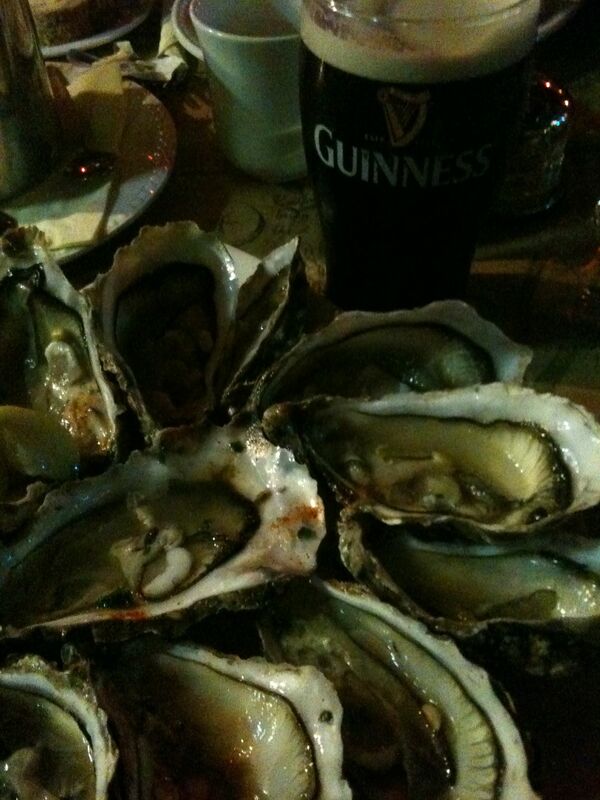 I ordered a Guinness and a half-dozen oysters. Delicious. Let me see. I’ll take a glass of burgundy and . . . let me see . . .
A cheese sandwich, then. Gorgonzola, have you? Mr Bloom ate his strips of sandwich, fresh clean bread, with relish of disgust pungent mustard, the feety savor of green cheese. Sips of his wine soothed his palate. 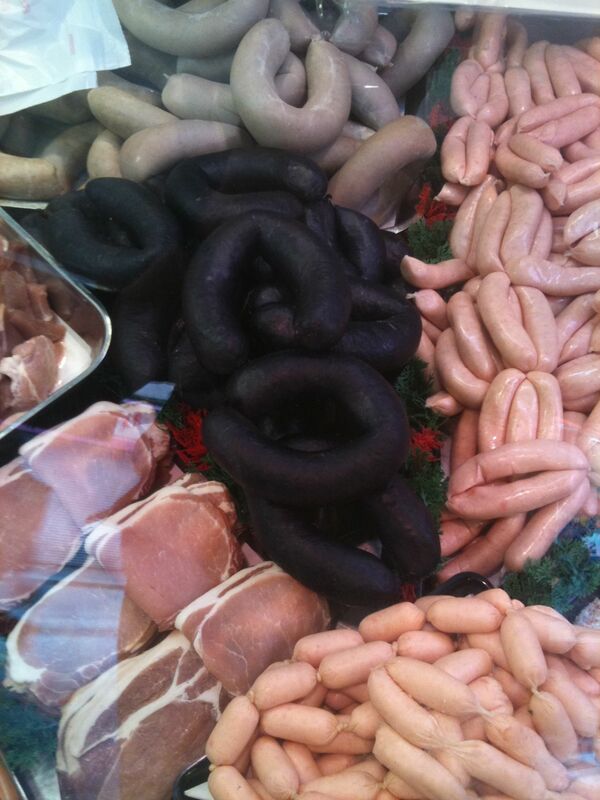 Later we rambled and found a butcher shop not far from the James Joyce Center, featuring my lovely dear, the blood sausage. 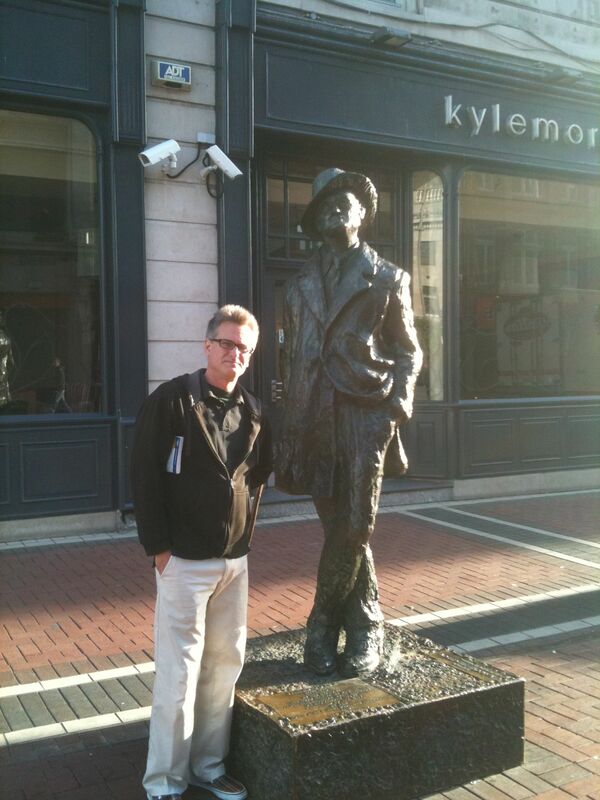 And so went one glorious day in Dublin, living within and without Ulysses. Next Next post: “Wait till the honeying of the lune, love! Die eve, little eve, die!” Telmetale of Stobhach Gaelach, Guinness and Lady Galadriel.